So your greatest wish is to be Santa, but you’re still a #cleanteen who can’t grow a beard! We’ll tell ya - it’s good to have dreams. You need dreams! We’d even say that it’s crucial to have some dreams when you’re still in high school, just to get you through day-to-day life. And especially when you have the kind of dreams that immediately tell us that you’re probably a little dorky and a whole lot weird (Santa? Really? That’s your dream? Do you…have friends? Like, people who let you hang out with them outside of school?)! But forget that - we’re not here to judge! You probably get enough of that just from your peers and everyone else who comes into contact with you on a daily basis. No, we’re here to help! And help we will with this Super Soft Santa Mask! 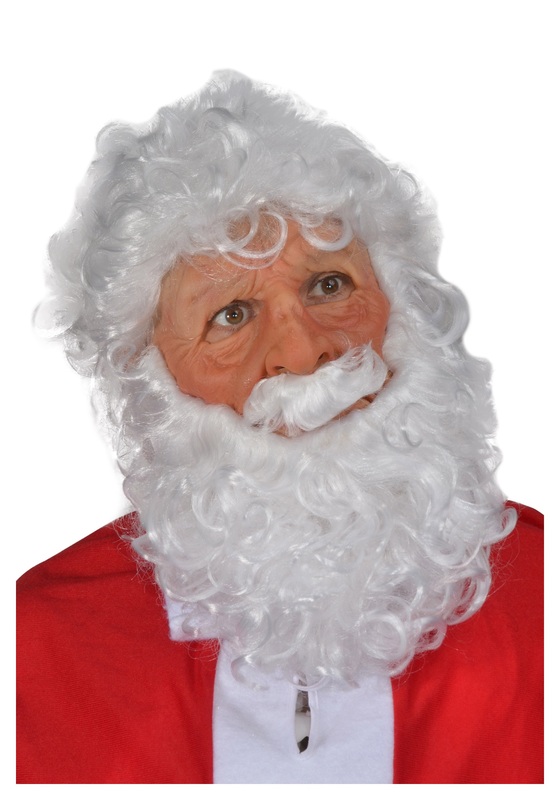 Made of 100% latex, it will mask your painfully youthful appearance, and give you the facade of being a wise old man who's dedicated his life to sneaking into little kids' houses one night a year. It also has an attached wig and beard, so you don't even have to worry about puberty (at least, not in this instance). Ho Ho Ho! Now go get some normal hobbies, kid!